One result has been the recognition at international, national and local levels that large, formerly rich cities may decline, but they will rise again in different guises, doing different things, but largely reusing and revaluing their immensely powerful infrastructure – buildings, railways, technical universities, hospitals, and hundreds of thousands of small and medium enterprises. This requires major financial backing from central governments and the European Union – which actually happened. Our work attracted widespread attention in the industrial world. The Brookings Institution in Washington DC, USA, picked up this theme, partnered with LSE in the City Reformers Group, and launched a parallel project across the rust-belt cities of the USA: Philadelphia, Pittsburgh, Cleveland, Detroit and others. Bruce Katz, the Director of the Metropolitan Institute and author of one of the chapters in the book, became a vocal national and international spokesman for struggling cities. In the US, with far less federal support, recovery has been slower than in Europe but nonetheless is happening, even in Detroit, the most ill-famed rust-belt city of all. His book, Metropolitan Revolution, became a bible for cities and regions looking to innovate their way out of trouble. 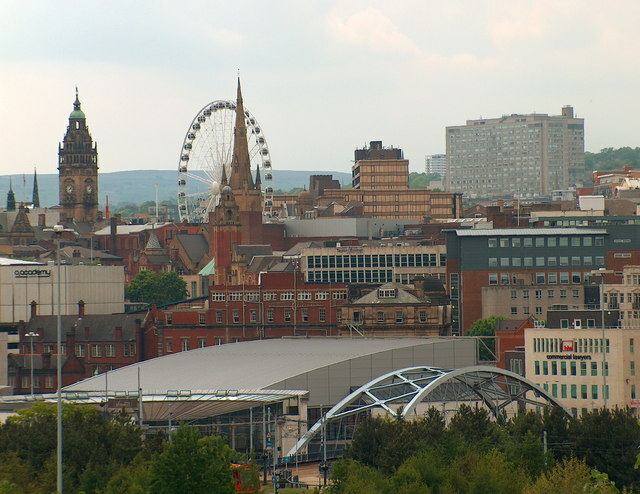 Through the City Reformers network, Bruce Katz promoted Sheffield and Belfast as advanced manufacturing hubs, on the back of their reshaped traditional industrial skills – “innovation districts” in American lingo. 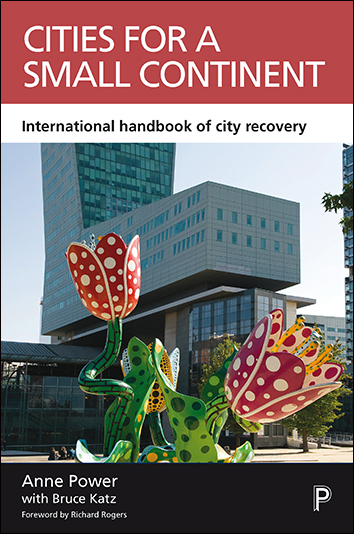 Bruce’s chapter in Cities for a Small Continent has created waves on both sides of the Atlantic and around the theme of recovery. The European Union has engaged with City Reformers over the whole ten years and now wants to relate our work to the new Urban Audit, a Europe-wide survey of over 300 cities. The European Regional Development Fund has played a key role in the recovery process, generously reinvesting in former industrial regions, including all our cities. The resulting progress is dramatic. 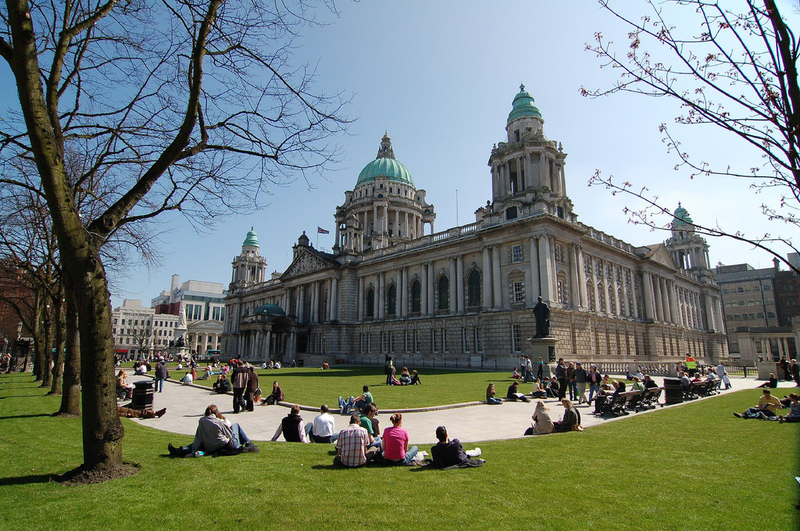 Torino, Belfast, Sheffield, Lille, Leipzig, Bilbao, Bremen are all leading lights in the new economy, much vaunted in international circles and turning the cities into “business-tourist” hubs. Former industrial cities, as we show, are literally at the forefront of climate change action in the process of reshaping their past. That is why Nicholas Stern, possibly the world’s leading environmental economist and advisor to the United Nations on the path-breaking Paris Agreement of December 2015, so warmly endorses Cities for a Small Continent. He now makes cities and climate change one of his three major themes, along with land and energy. It is truly remarkable therefore that existing cities, with their decay, environmental pollution from past industries, almost total historic reliance on coal and oil, overgrowth and over exploitation of people and planet, now point the way to a more environmentally benign future, based on re-use, recycling, reinvention, renewable energy. We believe this discovery is the major contribution of Cities for a Small Continent to new thinking. For this reason, Ed Miliband MP for Doncaster (which borders on Sheffield), Patrick Flynn, Head of Regeneration for Glasgow and Fabrique de la Cite, the French foundation of VINCI that funded our cities work, all want to apply the lessons of Cities for a Small Continent to their cities, their countries, their major companies and above all, their peripheries. The metropolitan borderlands of cities still suffer all the harsh consequences of deindustrialisation without the matching gains of city recovery. Thus Doncaster (Sheffield), Clydeside (Glasgow), Halle (Leipzig), Baracaldo (Bilbao), Mirafiore (Torino) – the outer areas of our cities – struggle with the challenges of core cities, with none of the advantages of being one. There is a long way to go if we are to avoid a repeat of the Brexit anti-establishment vote in those still neglected areas. And we have to double the reach of our message to avoid Trump-like protest election in France, Holland, Italy and elsewhere in Europe. Taking seriously the sense of loss that accompanies decline must be coupled with the imperatives of action on climate change. By following the Paris Agreement commitments seriously, we can create many new jobs in a new Europe, in the very places that need them most. Hull, a devastated, ex-industrial Northern city was renowned for shipping, fishing and trading, and then for empty homes and joblessness, is now celebrating City of Culture status coinciding with Siemens, the German engineering giant opening an off-shore wind turbine factory, creating 1000 direct jobs. The declining oil rigs of the North Sea, the empty deep-water port of Hull and the jobless youth of a struggling city are now of huge importance for the future of the planet. Britain is already the world’s biggest producer of offshore wind, and has the biggest wind resource in Europe. 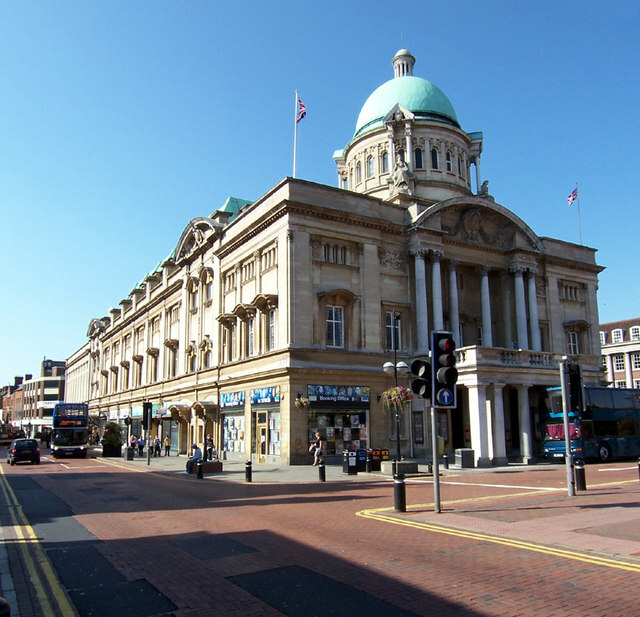 No one would have guessed that Hull might become a world leader again. This is a beginning for Hull, which voted 68% for Brexit last June. Cities for a Small Continent has played a significant part in building a Europe-wide recognition of the huge opportunities that “post-industrial” cities offer. They are the avant-garde in the new economy of renewables, reuse and reform. Cities for a small continent by Anne Power can be ordered here for £19.99. scheme in our community. Your website provided us with useful info to work on.